In June, 2015, DC Comics launched their brand new direction, aptly titled DC YOU. However, do you know what the YOU in DC YOU actually stands for? Does it mean, oi YOU, Robert Venditti, please refrain from playing with your monkey? Or does it mean, wait a minute, Billy Tan, didn't YOU once wax lemons? Want to know the answer? Then what are you waiting for? Read. Read. Read. To QUOTE Han Solo: 'I know'. 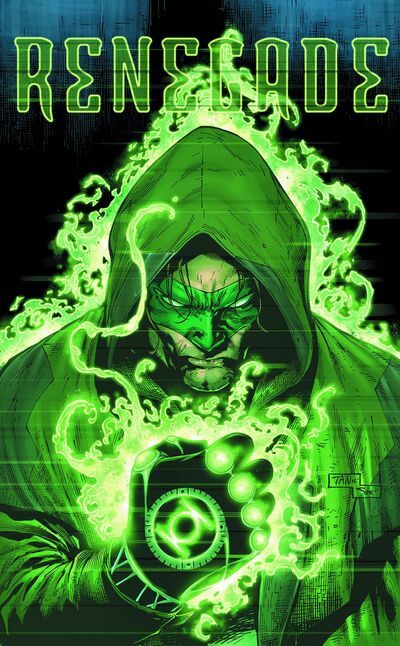 When we last saw Hal Jordan he suddenly turned rogue and sped off away from the Green Lantern Corps for steeling the Guardians magical gauntlet. And now, in this very issue, we see him once again, all rouged up, like some sort of cross between Lobo and Han Solo. Not that this is a bad thing mind you. 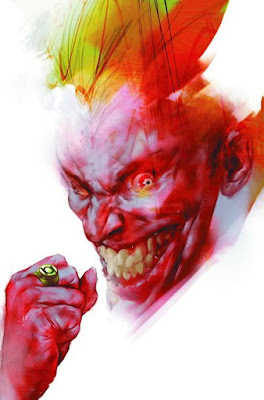 I personally like this sort of Jack T Chance type character. What with his solitary ways and his big bad attitude saving the universe in his own amiable way. It's just that when you transpose this genre based archetype onto someone like Hal Jordan, well, it doesn't feel quite right. It feels kind of too far fetched, too drastic. Almost as if this was an idea my pal Robert Venditti had one day, after watching a film like A Fistful of Dollars or a cartoon like World War Hulk. Yes. That's right. 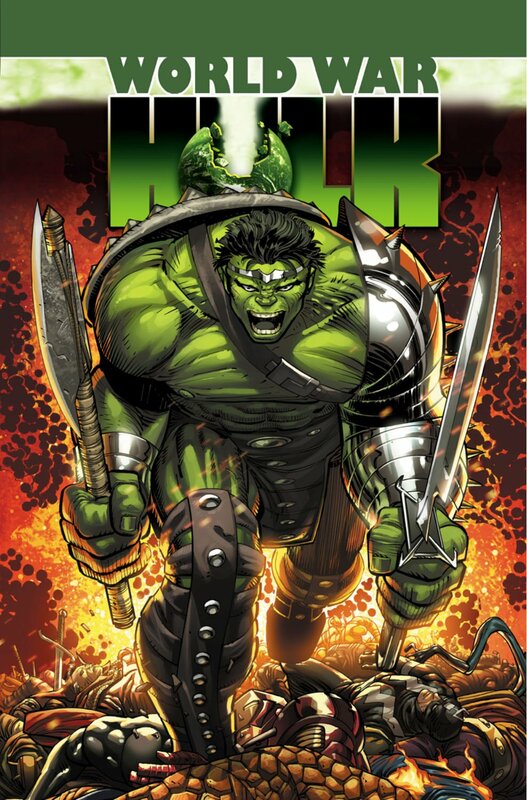 I did say World War Hulk: Which is another story about another Green themed character who went through another drastic make-over. Although, in this case, when I say drastic, what I mean to say is, 'Can someone please cut Hal Jordan's hair?'. And when I say make-over, what I mean by this is, 'I don't mind the bad-boy posturings. I don't mind the Han Solo vibe. But to be completely honest, I'm not entirely sure if it fits Hal as a person'. Take this issue for instance. It starts off with an arena style battle between a token alien bad guy and some pious blue-faced prisoner. When suddenly, after the match is fought and won, bad boy Hal turns up and saves the pious prisoner from the slave-traders clutches -- a'la WWH or Return of the Jedi -- before some more back-story is conveyed (which reiterates Hal's new status quo in the universe) until the 'to be continued' sign is displayed (Hey! I don't want to give away the surprise ending, do I?). Again. This is not a bad thing in my book. On the whole I'd say Billy Tan's clean and crisp 90s inspired visuals did help aide the story in places (loved his drawing of Hal's new ship), plus Roberts take on Hal is pretty damn original too (that scene where he says his gauntlet has a mind of its own was a right blast). As for everything else though, including this new direction... hmmm... let's wait and see, shall we? The best might be yet to come. I usually go for the gut when I come up with these musical match-ups, and normally compare the comic in question with a vibe or a message it tried to convey. And in the case of this issue, yes, it did have a vibe, and it did have a message. One conveyed perfectly well by the Bonzo Dog Doo Dah Band and 'I'm The Urban Spaceman'. Now this month's comparison was a toss up between Jack T Chance or World War Hulk. And to be honest, the only real reason I chose the aforementioned Hulk opus is because I want to save Jack for another day. Well, from my point of view, honesty is always the best policy, Ha! At the end of this adventure Hal and the gang uncover a very strange revelation. So just for fun -- are you getting it now? -- lets see if you can guess what that revelation is out of the following eight options. That monkey and monkey nuts both taste the same. That the new Star Wars movie is being made in a wooden shed situated in a well hidden deep underground. That farts smell better with age. That hippies wear there hair long for the sake of peas. That the Corps' home-world has disappeared. That most of their school life was wasted on learning stuff. That Kim Kardashian is a foreign man named Kenya Swallow. That it's not easy coming up with these stupid sentences.